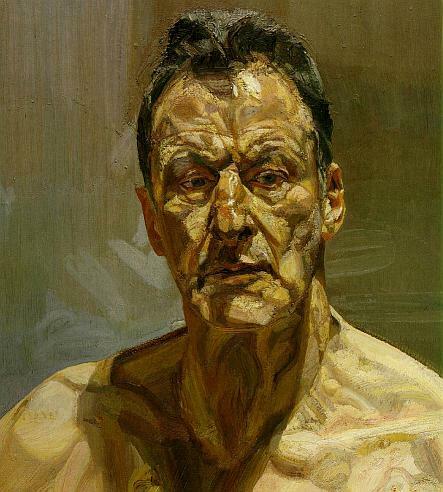 Lucian Freud was born in Deceber 8, 1922 in Berlin, Germany and died in July 20, 2011 in England. He is the son of the architect Ernst Freud and the grandson of Sigmund Freud. ]He is the father of Bella Freud (fashion designer) and Esther Freud (writer). His family emigrated to England in 1933 and he gained British citizenship when his grandfather and relatives also emigrated to that country in 1938. His earliest love was drawing. In 1951 his Interior at Paddington won a prize at the Festival of Britain. Freud is one of the best known British artists and is considered one of the most powerful contemporary figurative painters. Portraits and nudes are his specialities. Freud's subjects are often the people in his life. "The subject matter", Freud has said, "is autobiographical, it's all to do with hope and memory and sensuality and involvement really". "I paint people not because of what they are like, not exactly in spite of what they are like, but how they happen to be".